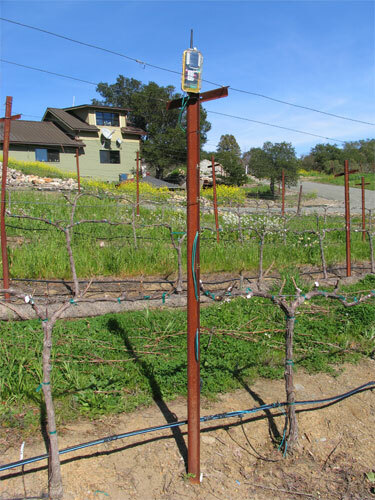 Soil Moisture station placement and sensor wiring to transceiver. We use Watermark sensors exclusively. 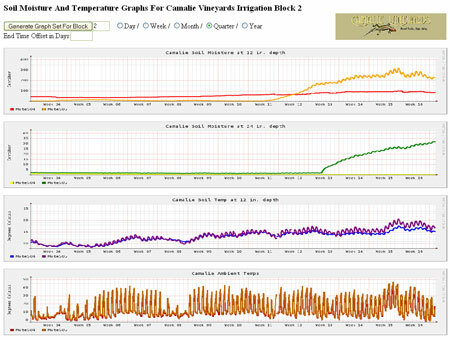 Development of a web based Irrigation block map with sensor locations clickable to access soil moisture trends. This is implemented using a Manifold Geographic Information System map server which is capable of storing and presenting almost any information relevant to objects on the map. 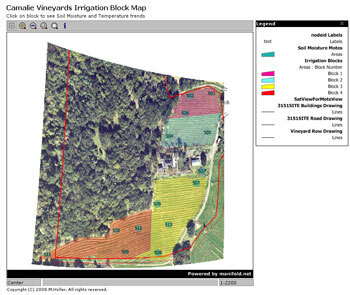 The basic clickable map interface to the trend data for your vineyard with logo is available for a one time fee. 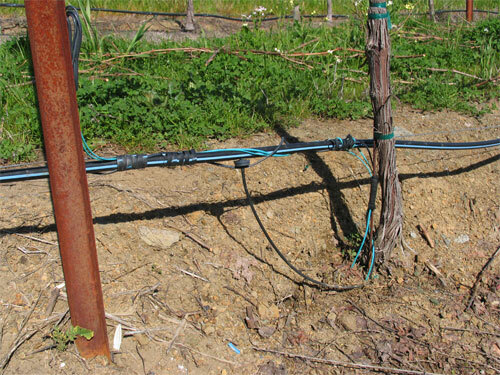 Here's a working Site used by Pulido Vineyard Management. Data analysis consultation, training and other support to meet your specific needs. Last modified: 10/27/15 Note on pronunciation: Camalie rhymes with "family"